Love is in the air – and just in time for Valentine’s Day, Sophie’s found the sweetest name of all! She’s going to become Sophie the Sweetheart! After all, she’s found the perfect match for her teacher, Ms Moffly – or so she thinks. Now it’s time to watch the sparks fly! But being a sweetheart is about more than just matchmaking. 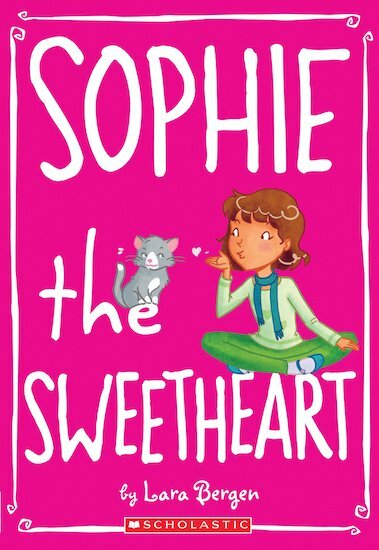 Sophie has to be extra-nice to everyone, including her ex-best friend Toby and snooty Mindy! Ugh. Will her latest name turn from super-sweet to sour? The latest adventures of Sophie are fresh, funny and packed with personality!